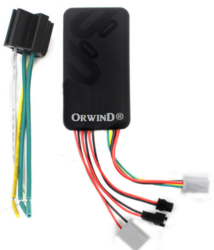 ORWIND EARTH 101 Premium Series - Car Tracking DeviceORWIND EARTH 101 Premium Series is a tracking device suitable for the majority of vehicles. This monitoring device lets you create your own personal vehicle tracking system. 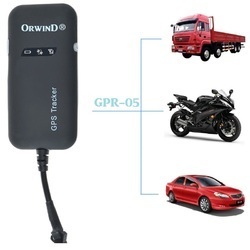 Being a GPS tracker it can be used in the car, bus, cab and many more vehicles. The tracking device for vehicles lets you track your business vehicles in just a second. Use the key features of GPS tracking devices such as time specification, parking alerts, waterproofing and much more all contained in just one device for your safety. ConnectivityConnect to your loved ones and track them with ORWIND EARTH 101 Premium Series. It helps you to monitor the location of your loved ones in a short span of time by giving you the most accurate locations. It has a frequency band of 850/900/ to 1800/1900 MHZ which helps you to connect to your GPS tracking devices easily. BatteryORWIND EARTH 101 basic device is exclusively made for cars. It provides battery power back up even when it is unplugged. TrackingTracking our loved ones was never so easy. ORWIND EARTH 101 Premium Series makes the tracking of our loved ones easy and portable with the help of this vehicle tracking system. This car GPS tracking device helps to track the employees as well as loved ones peacefully in just a solo screen. Parking NotificationThis is a very useful feature and it lets you know your last logged parking locations of your vehicle. With the help of ORWIND EARTH 101 Premium Series, you can track your valuables and loved ones with many more features. Real Time TrackingTrack your friends, family, employees as well as colleagues with the real-time tracking of ORWIND EARTH 101 tracking devices. This feature enables you to track in the present time with exact location instantly. 24 Hour HistoryDo not have time to track your friends, family, employees as well as colleagues in real-time? Then check all the missed out on just a single screen and never worry about them again. Zone AlertsORWIND EARTH 101 tracking app enables you to create zones for tracking your friends, family, employees as well as colleagues. It alerts you every time the concerned person enters/exits the designated area. Speed AlertsSet your own speed limits and get alerts whenever it reaches maximum. You can benefit from this feature from the ORWIND EARTH 101 tracking app. Get alerts instantly and track all your friends, family, employees as well as colleagues. WaterproofWith the ability of waterproofing, this device provides much more benefits with its unique features. With the understanding of our customers’ worries, we at ORWIND EARTH 101 also understand their needs, so we accordingly provide a one year warranty. We strongly recommend that these devices are professionally fitted by one of our own fully trained fitters to offer the best reliability. When we say easy to use, easy to keep, we mean it. With hardly any weight, ORWIND EARTH 101 devices are easy to keep in a bag, pocket or fastened with belt. Warranty 1 Year On Manufacturing Defects Only. ★ Advantage of Our GPS devices: Our Orwind certified advance GPS devices are capable of working in even rough condition of your vehicle. ★ Inbuilt Battery Backup: 9-10 Hours of Non Stop Tracking On Battery. ★ Highly accurate vehicle tracking | User friendly GUI | Last location saving | Increases Safety of your mobile resources | Single Screen Fleet Management. ★ Real-Time 24x7 GPS Tracking: All the Vehicle Trackers Report to our servers at an interval of 10 to 30 seconds. Thus giving You the power to Track your Vehicles Live when they drive. ★ World-Wide coverage: As our advanced technology is combined with world class Map Providers. ★ Software Tracking Cost: FREE UNLIMITED LIFETIME Tracking + Location Data saving for last 360 days By Orwind’s Dedicated. Online Server. Looking for GPS Tracking Devices ?